1).Fashional folding design,easy to install,you can fix it in not more than 5 minutes by yourself. 2).Made of high-grade&tailor-made material to ensure durability and not easy to fade. 3).A broad range of storage space can stock many products (like clothes, toys, shoes etc.) 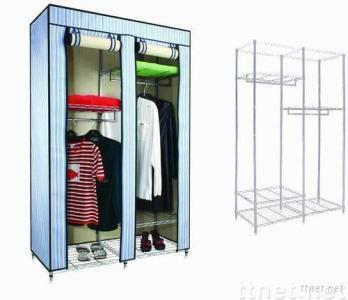 4).Double duty(can also be used as clothes rack in outdoor when remove cloth cover).